Use Hydro Jetting To Clean Your Pipes, Today! 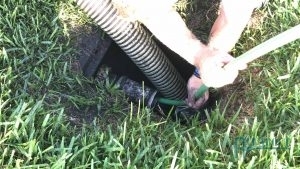 When you have a clog in your drain that is causing all kinds of problems, the professional plumbers at All About Plumbing & Septic can start the hydro jetting process for you. Hydro jetting is reserved for clogs that cannot be efficiently cleared by the traditional way of drain snaking. A hydro-jetting machine pushes large amounts of air and water at very high pressures, through your piping system to clear the clog out and leave them working as good as new again. This service is excellent because it is able to break through even the most stubborn clogs, like tree roots and clogs that have hardened inside of your pipes. We see a lot of commercial companies that need to use this service because of high usage in bathrooms and sink clogs. The great thing about choosing to do a hydro-jetting is that it is done quickly and it works right away. 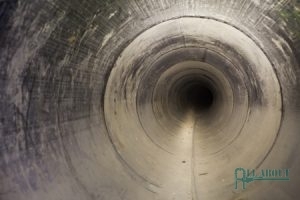 Once the clog is cleared out, you can go back to your daily life and the clog that was causing all the trouble will not build back up like it can if you don’t get the whole thing out, for example, like when you use a drain snake or chemicals. Clogs can happen for a variety of reasons. One of those reasons is because of tree roots. Tree roots can grow and end up finding their way into your pipes or sewer lines. These can be extremely stubborn and cause a lot of damage and backup issues throughout your entire plumbing system if you don’t catch them in time. Another common reason for hydro jetting is food getting stuck in your drains. Be careful what you are throwing down your drains because it can get caught in them and build up over time. If you need hydro jetting done in Mills River, Hendersonville, and Asheville, NC, call All About Plumbing & Septic at 828-778-2425, and we will be there to get rid of your stubborn clogs right away. Our professional plumbers have years of experience in this field and are also available to you 24 hours a day in case of an emergency. Maintenance is very important when it comes to your plumbing system. There are a few different occasions that we would recommend having a hydro-jetting done. One of those times is when you are moving into a new building that has been previously occupied or a new home, you should consider writing that into your final offer or getting it done yourself when you move in. You never know what kind of problems you can have in previously lived in places, so a quick hydro jetting will reset the pipes and get them cleared out, so they will act as good as new. We also recommend that you have this done as a preventative measure. If you have been seeing your water drain a little slower or have been in your place for a while and haven’t had this done, ask one of our plumbers if they think now would be a smart idea. We will always tell you the truth and will never recommend something to you that you do not need. We are here to help you in any way that we can so that you are not stuck with bad advice that will not help you in the long run. If you own a larger commercial building, having hydro jetting done regularly is something that can be very good for you to help keep clogs at bay. This preventative maintenance is something that can save you money in the long run and help keep your business and home running and smoothly as possible. Keep Your Pipes Looking Like New All Year Round With a Hydro Jetting Service. When you have a clog, it can seem a little overwhelming to try to figure out what to do. You need to know that you can count on an expert to be able to help you when you need it most. That is why the professionals at All About Plumbing & Septic, are available to you 24 hours a day do that if something comes up, we will be ready for you. We don’t believe that you should ever have to wait for help with your plumbing, because when you wait, it can potentially cause a bunch of other problems. The good thing about hydro jetting is that once we determine that this is a good option for you, we can start the process and it is done very quickly. The high-powered spray of water is powerful enough to push through even the biggest clogs and tree roots, to get you back in normal working order. When you need hydro jetting in Mills River, Hendersonville, and Asheville, NC, make sure that you call All About Plumbing & Septic for help. Our number is 828-778-2425, and we are available to you 24 hours a day, whenever you need it most! Updated on January 22, 2019 at 11:45 am by All About Plumbing.